It was October 25, and we still hadn’t really started school. After an emotional move across the state, I wasn’t in a good place spiritually or emotionally. Life was not going the way I expected and my kids certainly weren’t getting much schooling done. I was at the end of my rope, and I was barely hanging on. I didn’t have the energy to do science experiments and history reenactments. But my kids needed some kind of schooling this year. Continue reading at Year Round Homeschooling …. I’m guest posting at Year Round Homeschooling today! 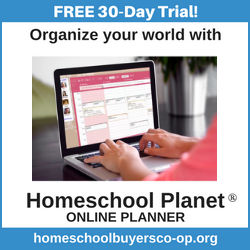 Go over and check out all of the great posts to Refresh Your Homeschool!